Two of my favorite bloggers, who hail from very different corners of the investment landscape, both happened to mention me in reference to the VIX:VXV ratio in the past few days. 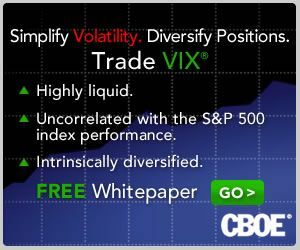 On Wednesday, in A Buy Signal from the Option Market, Cam Hui of Humble Student of the Markets, noted that the VIX:VXV ratio had fallen below 0.92, where “it has provided reasonably good long entry points in the past.” Cam linked back to my first post on the VIX:VXV ratio from December 2007, which, I am fairly certain is the first time anyone ever mentioned the ratio and suggested that it might have some value as a market timing signal. I have literally dozens of posts on the VIX:VXV ratio going back to 2007 and while I have hand-picked a selection of posts below that focus on this subject, I could easily fill a book with data, interpretative overlays and trading strategy ideas based on VXV (essentially a 93-day version of the VIX) and its relation to VIX and other measures of volatility. One of the more interesting issues related to the VIX:VXV ratio is how that ratio has moved up and down over the course of various volatility regimes. In the first two years of the ratio (2007 and 2008), the average (mean) ratio was 0.97 and 1.02; during the past two years, however, the average (mean) ratio has fallen all the way down to 0.87 and 0.90. For about 1 ½ years following the launch of VXV, using absolute levels in the VIX:VXV ratio as bullish and bearish signals worked almost perfectly. One only has to look at VIX:VXV Ratio Moving Toward Bearish Zone to understand why it quickly gained so many fans. When the 2008 financial crisis hit and in the aftermath of the crisis, the VIX:VXV ratio began to look like just another broken indicator. Since that time, the VIX:VXV ratio has continued to be a very useful indicator, yet its value has been greater when studied in relative terms than absolute terms. Old rules, such as increasing long equity exposure when VIX:VXV fell to 0.92 or 0.90, proved to be of little help when the average of the ratio hovered around 0.90 instead of 1.00. During the last two years, the VIX futures term structure has departed significantly from historical norms, as I have demonstrated in the likes of The 2012 VIX Futures Term Structure as an Outlier. Frankly, the 2013 version of the VIX futures term structure looks a lot more like the outlier 2012 data set than any previous year. There are many ways to think about a ratio in relative terms. Using percentiles, standard deviations and short-term vs. long-term moving averages are just some of the ways that one can rethink the VIX:VXV ratio in relative terms. In the chart below, for instance, I have calculated the two-week moving average of the VIX:VXV ratio relative to the moving average for the past quarter. This keeps the data standardized around a mean of 1.00 and allows for a way to evaluate the ratio on a relative basis, regardless of whether the current volatility regime has depressed or lifted the ratio data for the full lookback period. Note how extremes in this ratio of ratios has been an effective market timing signal over the course of the past eleven years. Given the scope of the issues that are related to VXV and the VIX:VXV ratio, I pledge to devote a good deal more space to these issues going forward, including the twists and turns in the VIX futures term structure, the use of the VIX:VXV ratio in determining the dynamic allocations for XVZ, etc. For those who are doing some of their own research into these and some tangential subjects, the links below are an excellent point of departure. I am going to go out on a limb and project that the second annual CBOE Risk Management Conference (RMC) Europe, which is held at the Penha Longa Resort in Sintra, Portugal from September 30 – October 2, will be the best conference of the year for those who are interested in the VIX, volatility, risk and other related subjects. While RMC Europe has an impressive list of speakers and an agenda that should entice any VIX and More reader, the setting for this year’s RMC Europe event is almost impossible to top. I understand that rooms at the Penha Longa Resort are filling up quickly, so I urge any European readers other those who are interested in flying in some more far-flung destinations, to make reservations sooner rather than later. If you are looking for things to do outside of the conference, you can always head over the Nazare to find 100 foot waves to surf, take in the history and gastronomy of Lisbon (not to mention the local beverage opportunities ranging from Vinho Verde to port), or check out the scenic local golf options. In the U.S., the RMC alternates between Florida in even years and southern California in odd years and is typically held in late February or March. Next year will mark the 30th annual installment of the U.S. version of the RMC and will run March 17 – 19 at the Hyatt Regency Coconut Point in Bonita Springs, Florida. Much to my chagrin, I will not be attending RMC Europe this year, but I intend to be in Bonita Springs in March and also to find my way to wherever the 2014 RMC Europe event is being held, come hell or high water. For those who do make it to RMC Europe, I would very much be interested in hearing about your experience and some of your key takeaways in the volatility space.